I came to City right after I finished school. Besides going to school I wrote and played music so I could not wait to dive into something I enjoy so much on academic level. Since my course is quite rare, I carefully researched all the options and knew that I was going to apply to City way before application deadlines. What attracted me was the course content - which stood out from all the other similar courses I was considering. Being a part of a community is very important to me, I only realised it studying here. I am glad that this environment provides it. Also, the course content and its presentation. The lecturers from my department do an amazing job in teaching and communicating with the students. What is your favourite music venue in London? The Islington Assembly Hall is very close to City, and is a great live music venue. Fabrik is also close to City and is a significant landmark. Our university is also a great venue itself, I’ve attended some great performances as part of the Tuesday concert series. 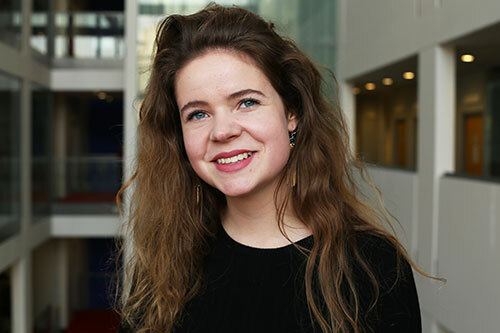 I am a member of the Student-Staff Liaison Committee in my department and work as a Student Ambassador, representing my department at events such as Open Days. Even if I am not entirely sure yet, I think it is perfectly normal. I try to take every opportunity to explore the unknown. Define exactly what you want and research. This will be your life for 3 years - choose carefully.